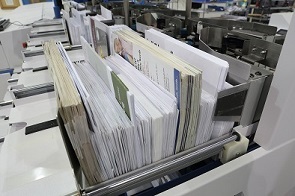 If you are creating direct mail but not sorting, the chances are that you are already running a very efficient process by presorting in data and getting high levels of qualification. 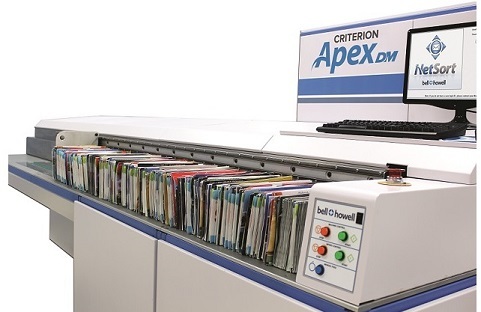 Our sorters have evolved over decades of running production mail, and our current Criterion Apex DM has been further improved to handle the wide range of very creative mailpieces seen in Direct Mail, which present different processing challenges than typical envelopes. Working out the best solution for your business will require careful analysis of your mail distribution, as well as other processing constraints. We have some of the best minds in the industry to help you accomplish this, bringing together several years of experience in presorting mail, USPS® knowledge and helping others resolve their processing challenges as well. Based on this, we can help you implement a cost-effective solution that meets your unique processing needs.